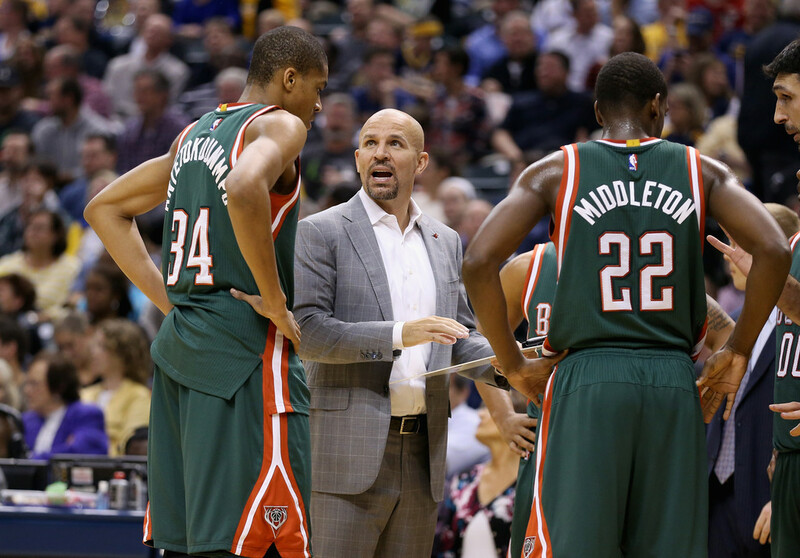 Can Jason Kidd and the Bucks continue their historic season? After a 2013-14 NBA season that included only 15 wins and 67 losses, the Milwaukee Bucks this season have certainly made the league take notice as they have been one of the biggest surprises this campaign. They won their 30th game of the season just prior to the All-Star break and in the process became the first team in NBA history to double their win total from one season to the next before the All-Star break. With a 30-23 record at the All-Star break and 29 games remaining in the 2014-15 season, the Bucks have their sites set on a few more historic feats. With 14 wins in their final 29 games, the Bucks would have the most wins the following season in NBA history by a team that finished with less than 20 wins the previous year. * In 1968-69, the Bucks won only 27 games. The following year they won 56, much to the credit of drafting Lew Alcindor out of UCLA. He led the 1969-70 Bucks with 28.8 points per game and 14.5 rebounds per contest. The 29-win gain over the previous season is the biggest in the team’s history. For this year’s squad to top that mark they would need to go 15-14 in their final 29 games, a very doable task. The NBA record for most wins over the previous season is 42, held by the Boston Celtics. Boston in 2006-07 won only 24 games. The following season, with the additions of veterans Ray Allen and Kevin Garnett, the Celtics won 66 games, a 42-win increase over the previous season, most in NBA history. To tie the NBA mark of a 42-win improvement, the Bucks would have to go 27-2 in their final 29 games, a monumental, unlikely climb. But the Bucks could make their way into the Top 6 of the greatest win improvements in league history by reaching 45 wins, again, by winning 15 of their last 29 games. An 18-11 finish (to end the season 48-34) would give them a 33-win improvement and but them in a tie for the fourth-best win improvement in NBA history. Here’s a look at the 12 teams in NBA history that have increased their win total by 25 or more wins over the previous season (Note: these season totals do not include the 1998-99 and 2011-12 seasons which were both shortened due to strikes, thus the total number of games played were not consistent with the previous and subsequent seasons).